Fight Commander was bought by OllyMurphy and Foxtrot Racing. He will be trained by Olly Murphy, who is one of the most talented young trainers in the country and has an outstanding record of improving horses with similar profiles to Fight Commander. Olly trains near Stratford-Upon-Avon. Fight Commander has been bought to go three mile chasing next winter, and he will appreciate the softer ground. He is still a novice over hurdles so we could also take advantage of this if his chase mark increases significantly after he’s won some races for us over the bigger obstacles. Fight Commander has finished second three times from his last six runs (form: 243322). He finished in the winners enclosure every time he ran last season. In March the Racing Post described him as “very well handicapped”. He was bought cheaply because he is a nine year old. With so many people overpaying for young horses, there is value to be found in more experienced horses who have already learnt their trade and proven their ability to run regularly and consistently. Fight Commander was trained by Oliver Sherwood who is an excellent person to buy older horses from because he doesn’t over work them or run them too often. Fight Commander has been based in Lambourn since 2013 and he’ll relish a change of scenery and routine. He’s an impressive looking horse with a good attitude. He’s keen to please and he’ll provide a lot of fun next season. Another benefit of buying this type of horse is there will be plenty of people interested in buying him to go Point to Pointing after he finishes racing, so he should retain his value. We expect him to be rady to race towards the end of September. He certainly looks a good value buy. He’s an impressive looking horse with a good attitude who’ll give us a lot of fun. There will be 20 shares in the Partnership. Fight Commander cost £7,500 plus auction costs and transport which I have budgeted at £500 to bring the total cost of purchase to £8,000 (£400 per share). The training, racing and management costs will be a maximum of £1,350 per share to end of May 2019. Olly trains in Wilmcote, near Stratford-Upon-Avon. He worked at Alan King’s before becoming Assistant Trainer to Gordon Elliott in Ireland in 2012. During the 4 years that Olly spent with Gordon he was been part of a team that saw Gordon rise to the top of the Irish Training ranks. Olly was involved with 10 Cheltenham festival winners including Gold Cup winner Don Cossack and dual festival winners Cause of Causes and Tiger Roll. 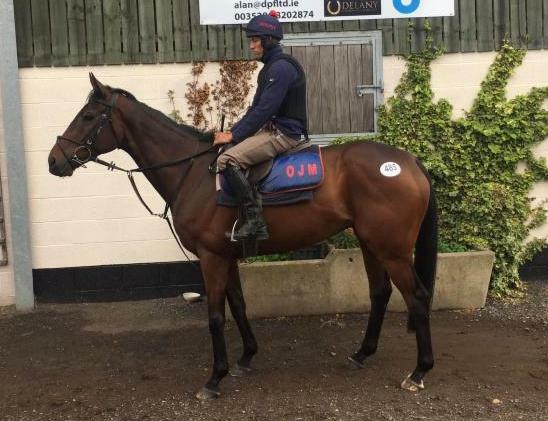 Olly set up his own yard last summer and quickly established himself as a very talented trainer. He has already had 52 winners, with an outstanding 22% strike rate over fences. He has repeatedly bought cheap horses, like Fight Commander, and improved them significantly. Olly is young, enthusiastic and talented and we are delighted to support him.